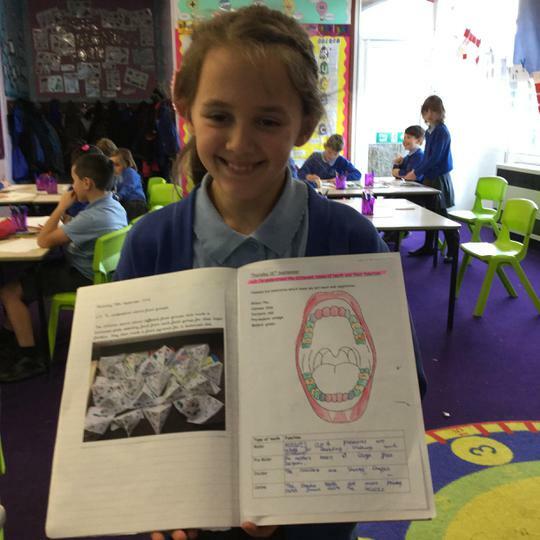 We have been learning about the human skeleton with a particular emphasis on teeth! We also explored food chains in the animal kingdom before investigating what makes a healthy, balanced diet for a human. We then made food pyramids to represent how much of each food group we need to ensure that we stay fit and healthy!